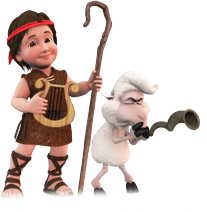 17 classic action Bible songs, arranged and performed in a classic kids style by the Cedarmont Kids. Lyrics and split-track versions are included for singalongalong with basic istructions for the actions. This enhanced CD includes printable activities and coloring pages for your active child! 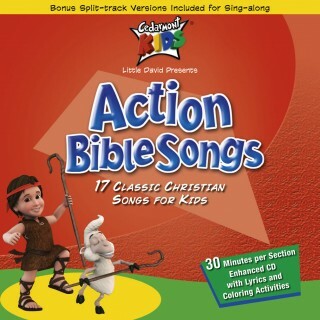 Live-action singalong video versions of all the songs on Action Bible Songs. DVD includes English and Spanish audio and split-track versions for singalong.